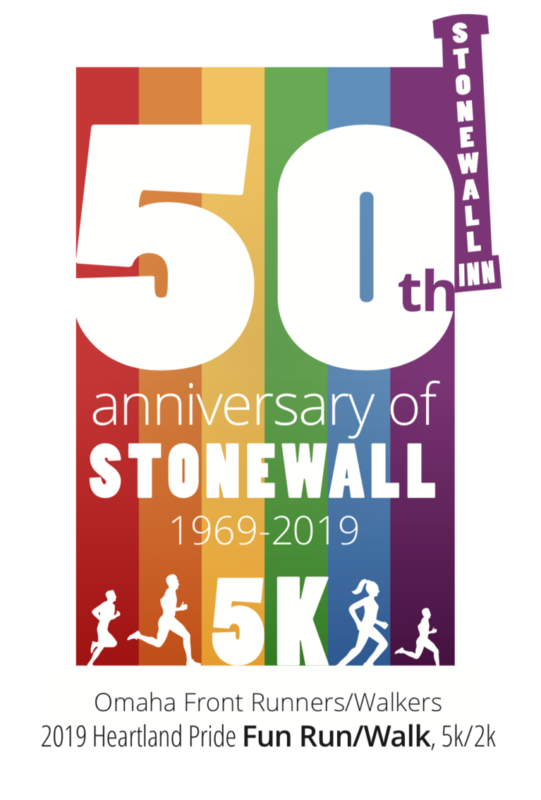 Heartland Pride Fun Run/Walk 5K or 2K walk. Registration is 7:00 to 9:00 a.m. Run/walk starts at 9:00 a.m.
Costume Contest at 8:30 a.m. Team Awards for largest teams. Go to RunSignUp.com/heartlandpride for more details. Omaha Front Runners/Walkers are proud to sponsor this event celebrating the Heartland’s LGBTQ Community. Everyone is Welcome!